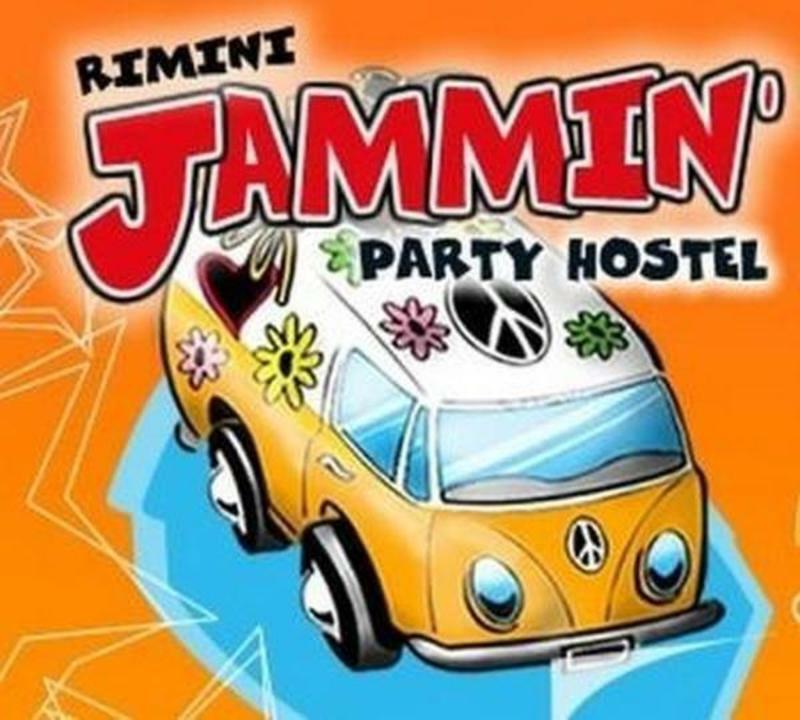 Jammin' Hostel Rimini is the ideal meeting point for young people and travellers from all over the world with the best value, a great young atmosphere and 100% Fun! We're perfectly located just 2 blocks from the beach and 10min walk to the Rimini city centre with historical monuments and shopping bargains by day and famous clubs and pubs by night. This is also the ideal base to a half-day trip to the beautiful Republic of San Marino (Unesco heritage site) on top of the impressive Titano mountain proudly overlooking the coast. It's also good a day trip to the famous Ravenna, Urbino, Bologna, Florence and Venice! - Panoramic rooftop terrace with sun beds, TIKI Bar under-the-stars: Awesome! We also offer special packages Stay+Restaurant+Disco for Stag Party, Hen Party, Birthday Party, Graduation Party, etc. and if you're looking for something really special and unforgettable we collaborate to organize Tandem Skydiving, Horse Riding, Boat tours, Sightseeing flights, Scuba Diving, Strip-nights and much more ... Contact us! Have fun with us meeting new friends while hanging out at the bar. Every night we offer something special and engaging, good music, right atmosphere plus a vast variety of cocktails, shot drinks and beers together with the 'special of the day'. We're Jammin'...... We're Jammin'....... I wanna Jammin' with you! From A14 Highway, exit at â€œRimini Sudâ€ and follow Rimini centre and ''Mare'' (Beach)directions. We are in front of Beach number 34. Download the suggested route map from our website! TAXI: From Rimini Train Station is around â‚¬ 10 during day time. From Rimini Airoprt is around â‚¬ 20 during day time. Get bus n.9 and get off at Rimini Train Station. Change to bus n.11 and get off at stop n.13 (Beware! stops are numbered). Viale Derna is just before the bus stop n.13.